Baked not fried! Can you believe it? They don’t look like those cakey baked Donuts, right?! 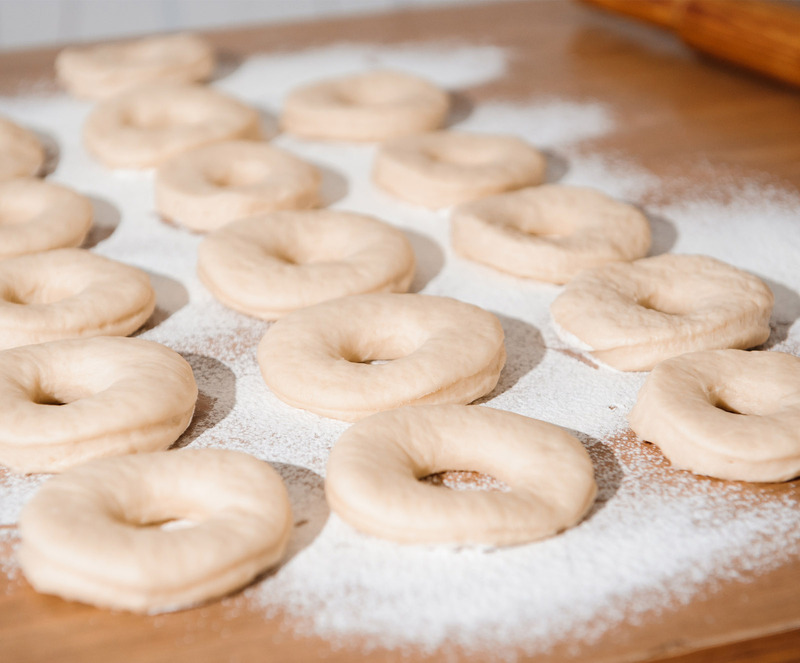 That’s because we use a secret recipe of real yeast dough and think you'll agree that these freaky donuts are freakin' delicious and better for you than traditionally fried donuts. We call them "Just Baked" and for several reasons. ONE, they are just that, just baked or only baked and never fried, then TWO, of course we just baked them — meaning they are fresh. We bake our donuts twice a day as needed and you can tell. We are Donut Freaks providing donuts for Donut Freaks. Come down to Donut Freak to taste what words cannot describe. These people make our business go with a strong philosophy behind customer service. People want to know who they're doing business with. Let's get to know each other. It's a human thing.